(12) 60lb Bags of Concrete in the back seat & (8) 50ish lb steel pipes on your roof(I bent my roof bars a little) & some post hole diggers. No, you can't touch my wagon! Hey that steering wheel looks familiar! I thought you were going to paint it. 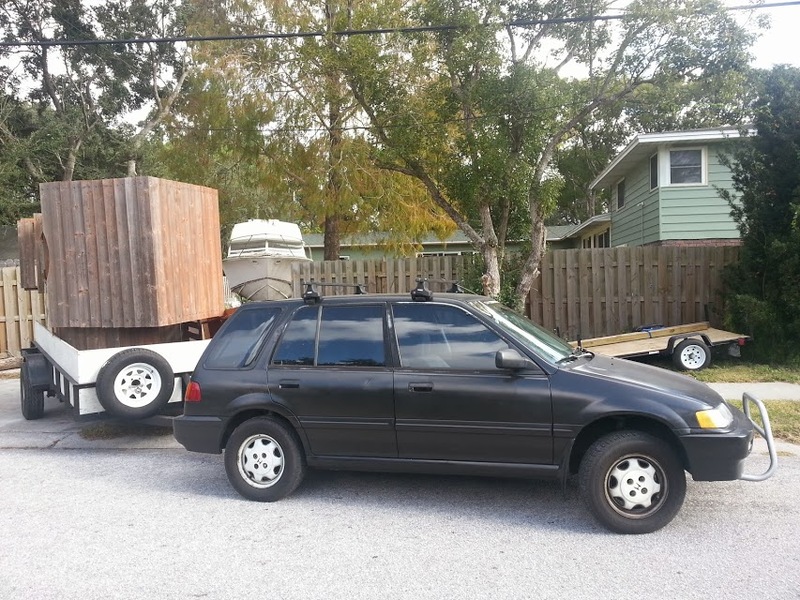 One of the many times the wagon has been used as a moving van! First post, I'll post a intro later, had to share this. Picked up a motor for my 4runner on Saturday. Spare wheel was out and I put a tire in it's place, the motor sat perfect in there. 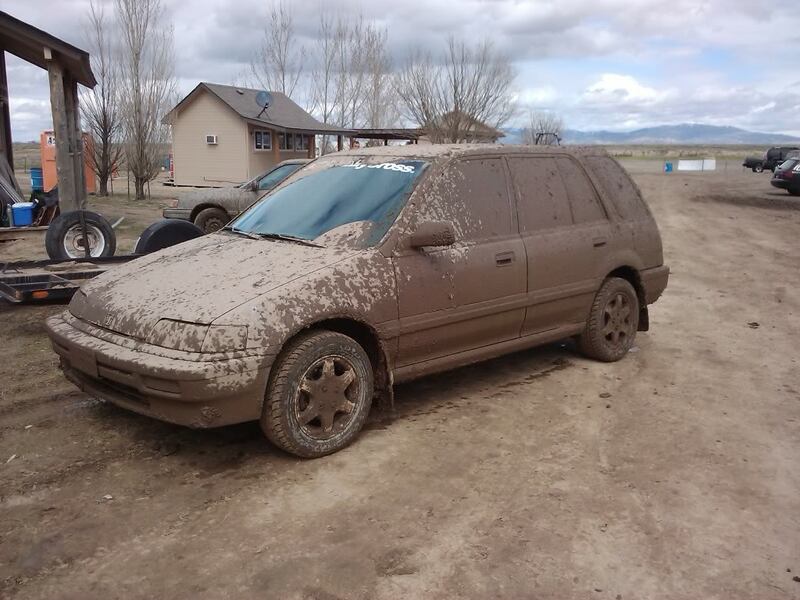 Btw, this was VIPWryann's wagon I bought it a few days ago. Not working to hard but working! 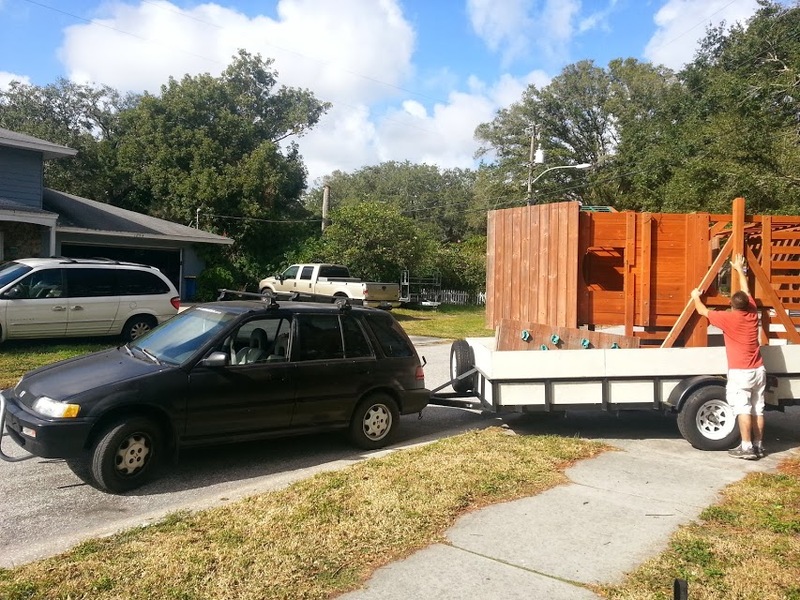 Towing 6x12 utility trailer loaded with 800 -900 lbs of fortress playground. Last edited by DRMORTY; 12-26-2013 at 01:09 AM. Not a wagon... 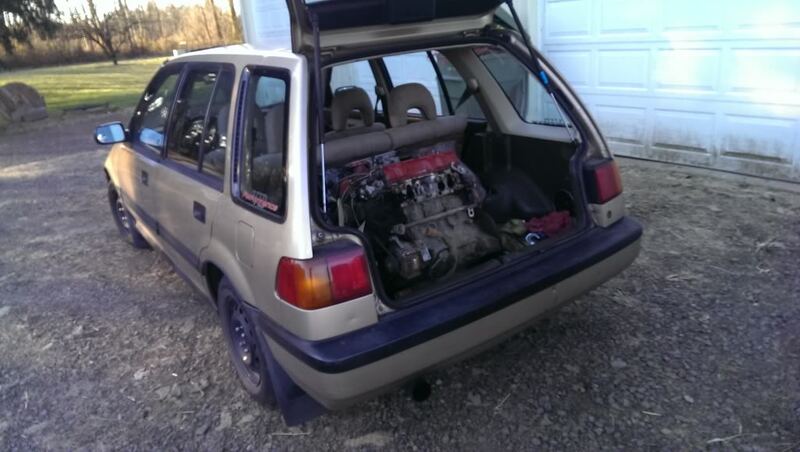 But, a Hatch.. After my own hear.. 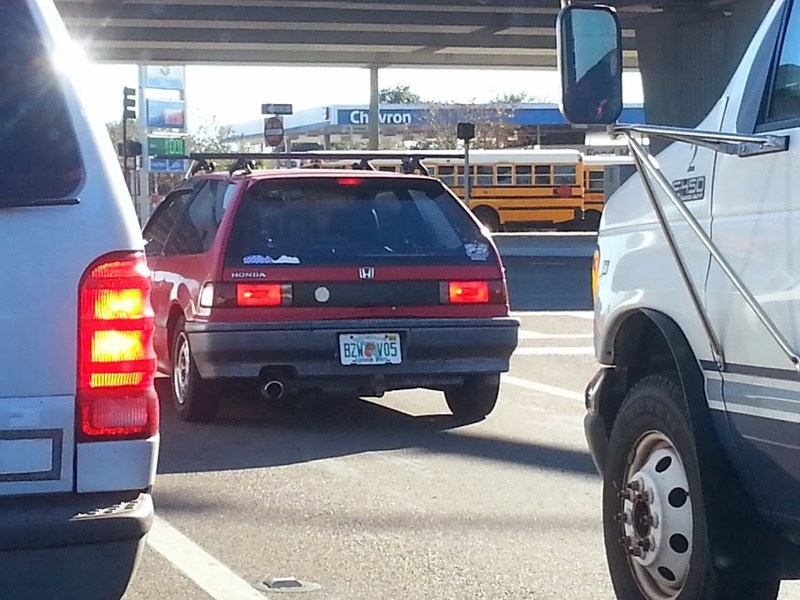 He has a Roof rack & a tow hitch..
to even contemplate restoring that car makes me think you might be just a little bit out of your mind. awesome pix everybody. 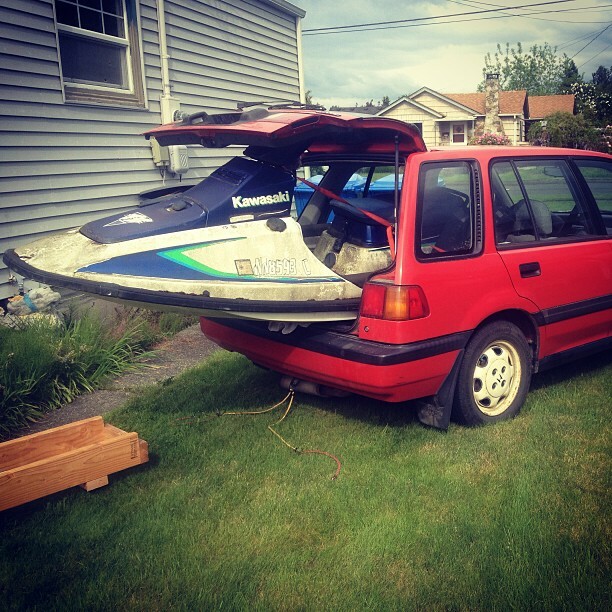 good to see people arent scared to use thier car for what they need it for! Good enough. Playing hard or working hard - as long as we are utilizing our wagons, that's what counts! "We only have one future, and it will be made of our dreams." 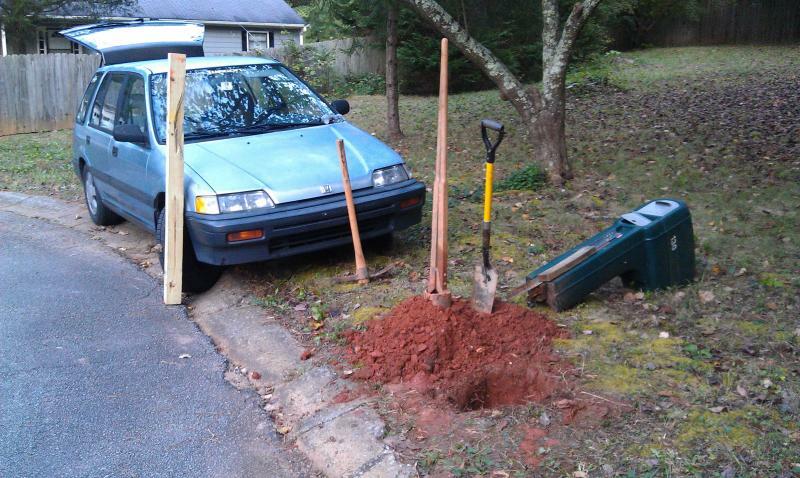 Resurrecting my mailbox a few months back. "Yes, I'm a natural blue." OK, so not working very hard, but come on! 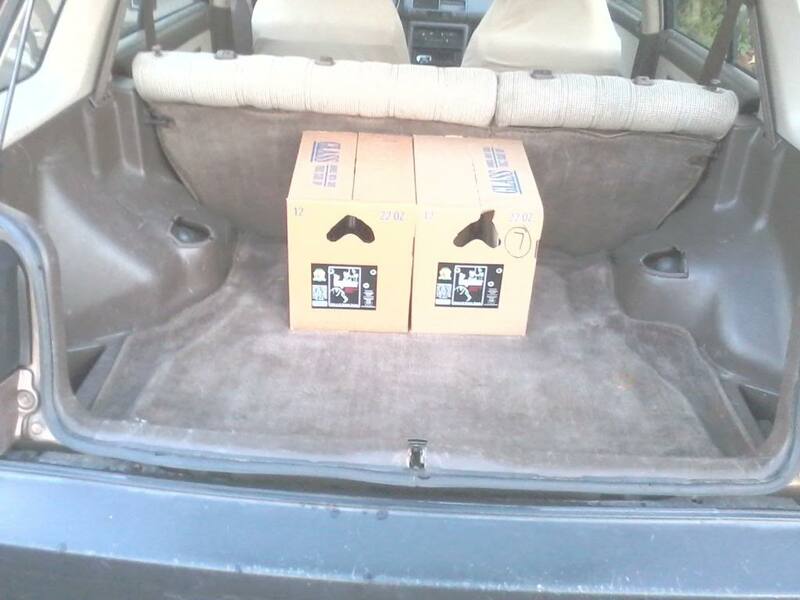 It is TWO CASES of Dogfather beer. My favorite!! 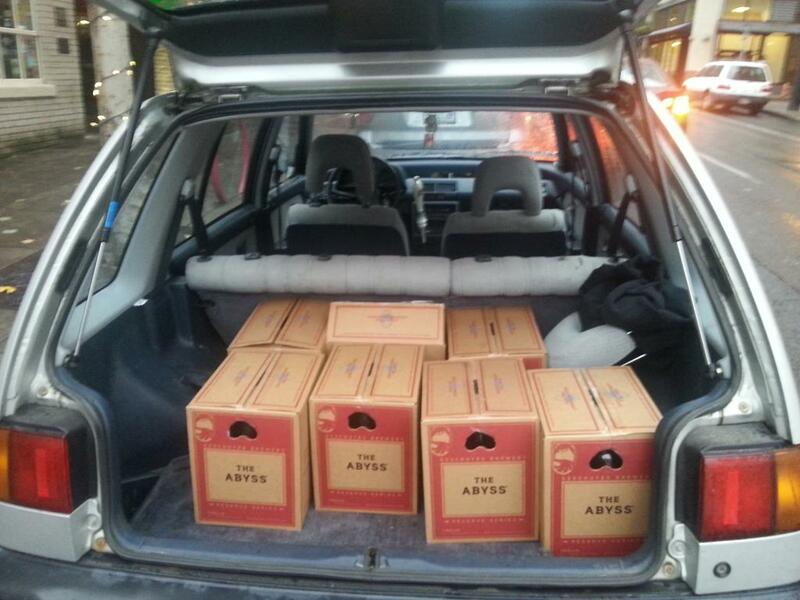 Haulin some Abyss away from the Deschutes Brewery Abyss release party with some friends last Thursday in Portland. OK, I really am not an alcoholic! That's my story and I'm sticking to it! 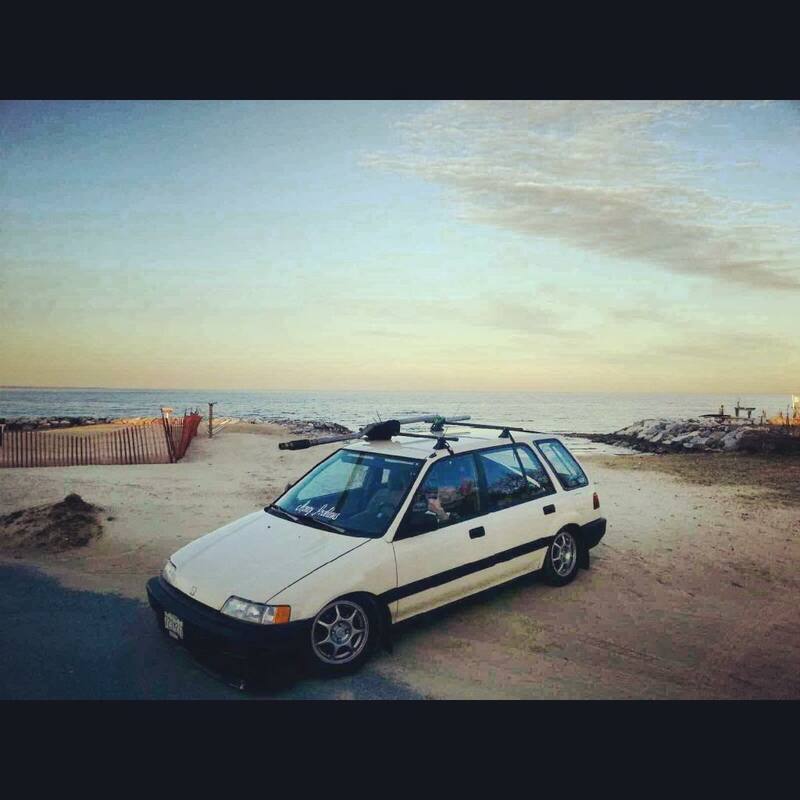 Most of you know that I use my Civic Wagon (1990) for touring. We play music all over North America and when we're on tour, we put about 6000 miles a month on my wagon! It's awesome. Holds us, a complete sound system, 3 banjos, 1 cello and a guitar. The topbox has our camping stuff and clothes. 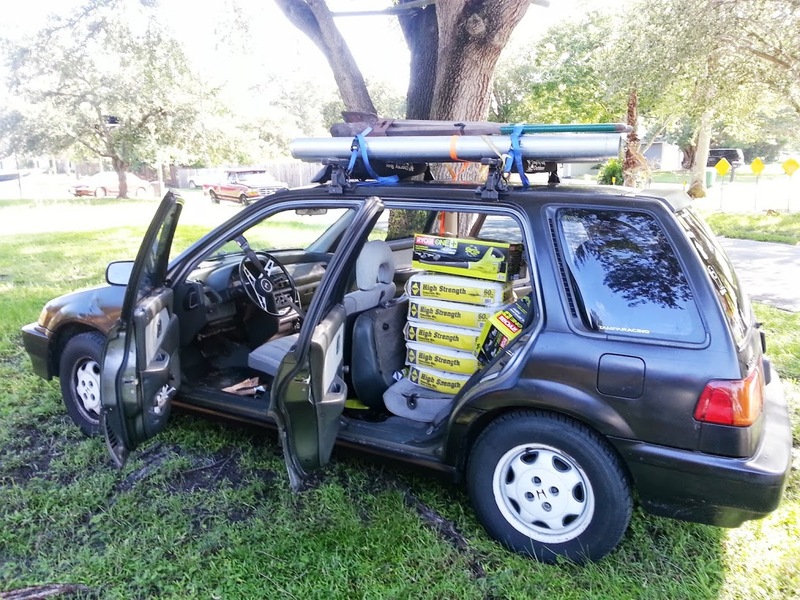 I keep a milk crate in the car with tools, for the little-fix-its along the road. Here's a music video of my music--a song I wrote 2 years ago when I was working in Argentina. Coachecita is featured for the first minute! I know I need to put up more photos of this car, but here's what I have for you today. 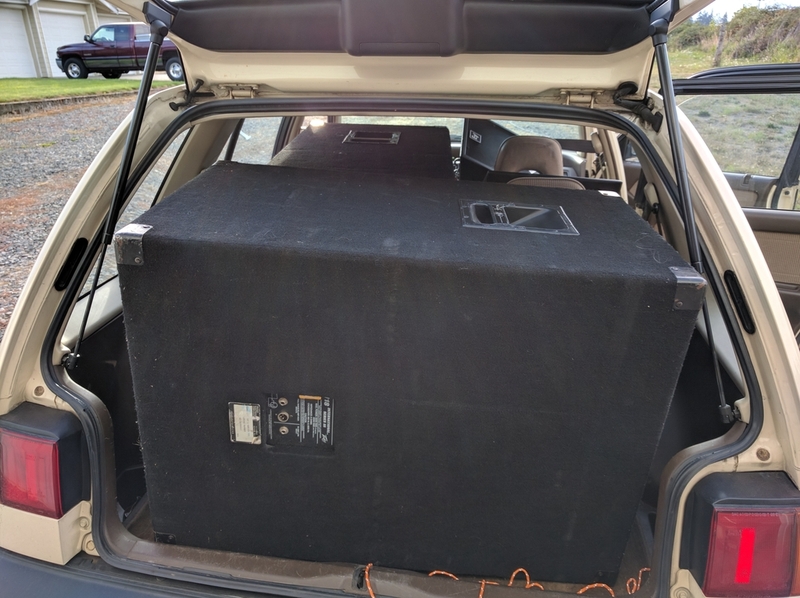 Got a few speakers for the shop. It is hard to see but there are also two seat belted into the passenger side seats! I have moved apartments a few times using only my wag. 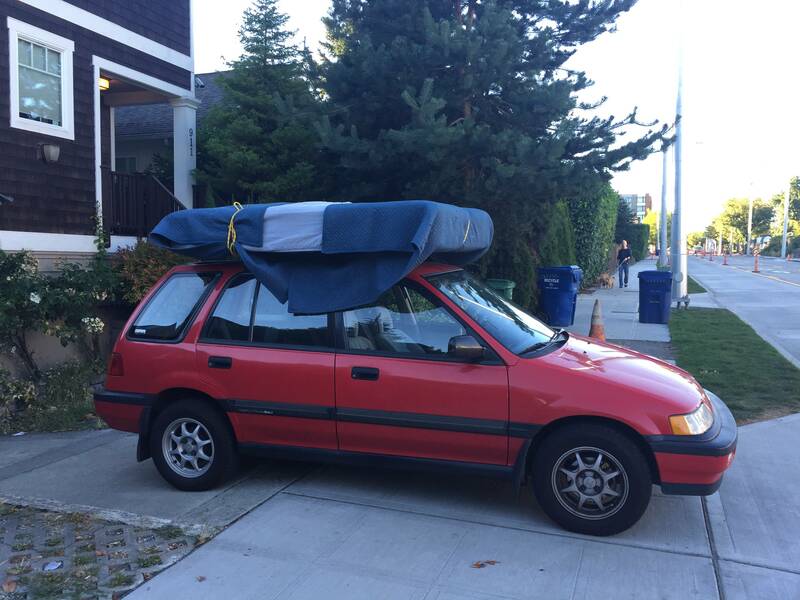 I used to have a full-size futon that fit inside with the hatch open. 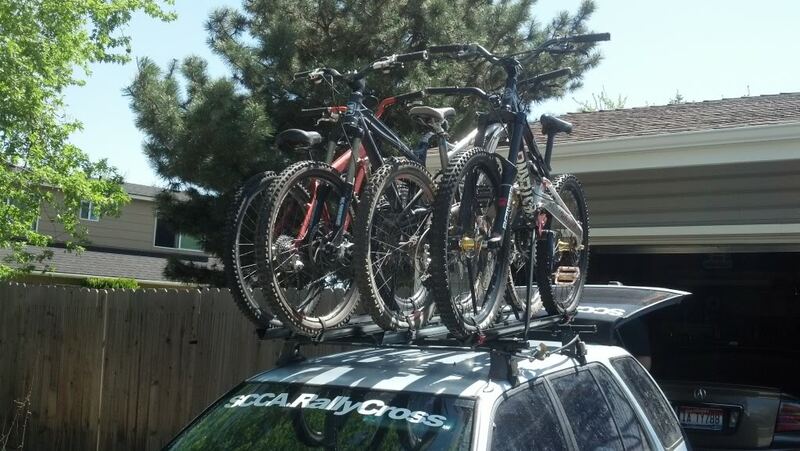 This is why I want to install roof rack on mine. 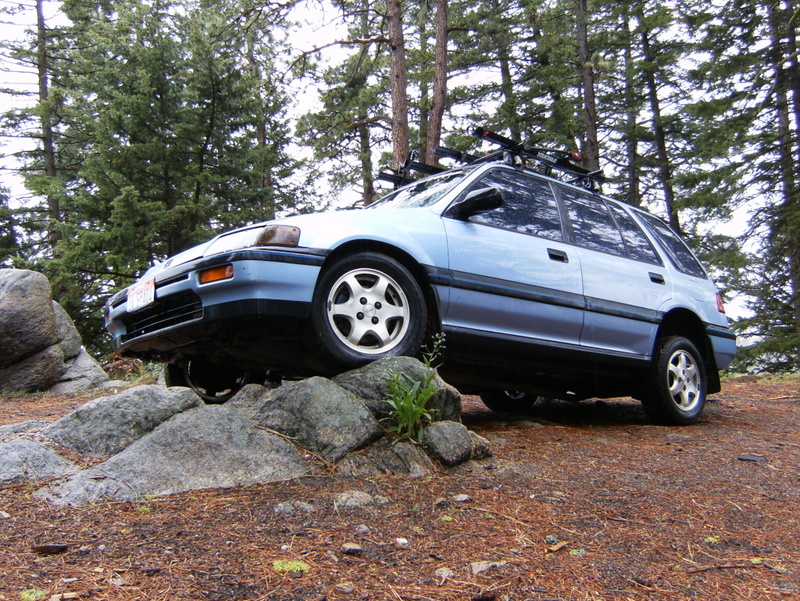 Progress Auto Rear Sway bar does it work for our Wagons? Two-Tone Wagons or Wagons with Graphics: Post Pics! 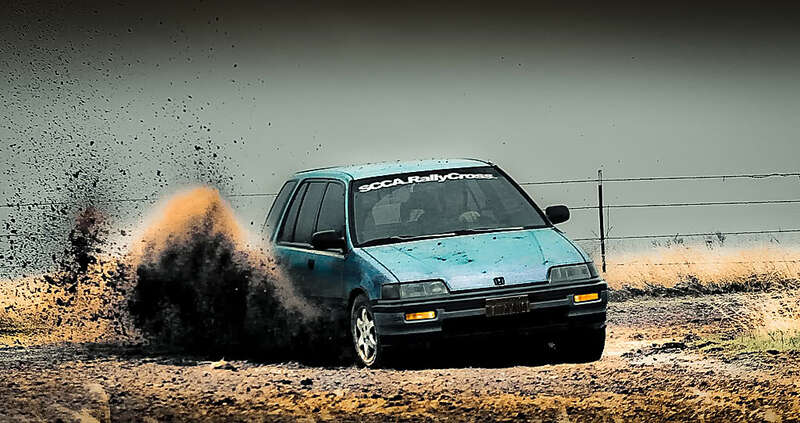 can CRX fender liners work in wagons? 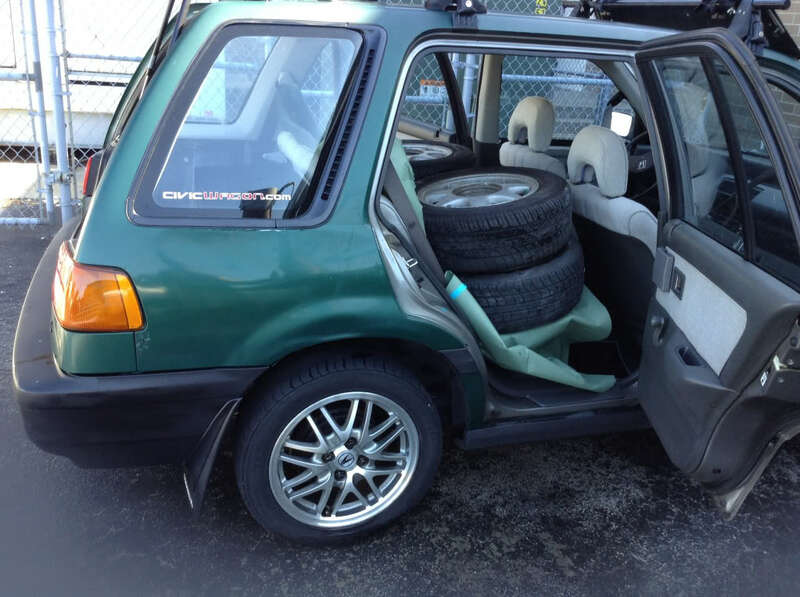 eBay refresher kit for hatches, will it work on wagons too? motor mount inserts will they work in the 4wd wagons?